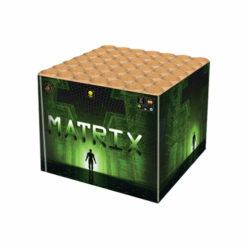 Surprisingly big effects from such a small box great value firework. Opened my display with this and Juke Box. 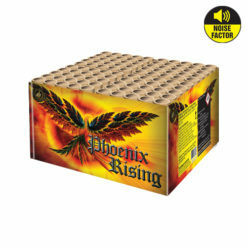 I had this with Jumping Jack Flash last BFN, both great. This has thick tails up to lovely multicoloured bursts. Some very nice effects in this. Recommended. Get that Rock N Roll feeling from this splendid 16 shot cake. With more crackle then your scratched vinyl, and plenty of dazzling red, green and blue spinning tails, launching into multi-coloured glitter ball star breaks. Enjoy this excellent 30-second garden firework with a colourful multi-shot finale. Feel the rhythm in the video below. 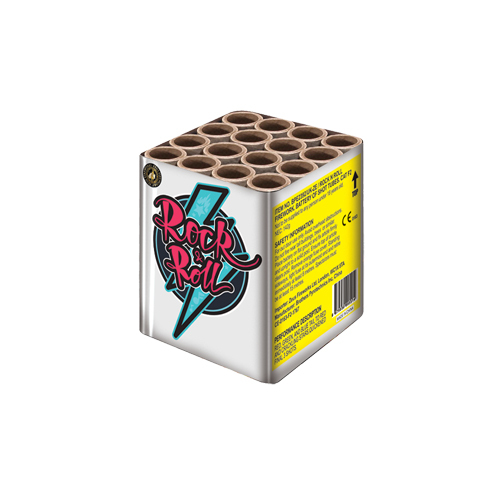 Rock N Roll is category 2 firework which requires a minimum safety distance of 15 metres. 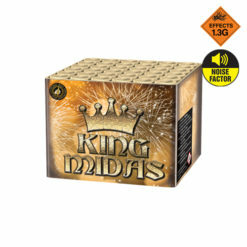 Always take time to read the safety guidelines and instructions on the fireworks label. 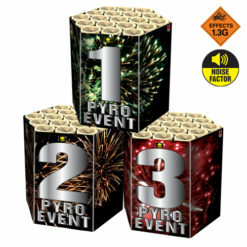 Want to add another great value firework to your party. Look no further than Juke Box!